Our gift boxes are perfect for every occasion and every taste real estate closings, new business, thank yous, special clients, company picnics, mother's day, father's day, birthdays, cook-outs, housewarming, holiday get-togethers, anniversaries, welcome, beach weekends and more! 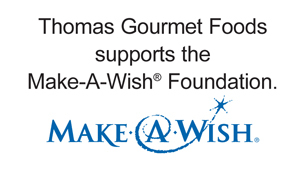 Thomas chutneys are savory sauces made of fruit, sugar, vinegar, ginger, raisins, and a mixture of spices that combine to create a tasty relish. 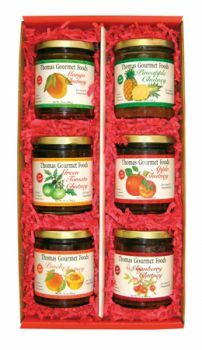 For your Chutney 6-item Gift Box you may select any combination of six flavors from the chutneys below.